Our site manager Ben Douthwaite has been awarded the LABC North & East Yorkshire Site Manager of the year award for his work at The Meadows, Spennithorne. We are extremely proud of Ben and his award is worthy recognition for the dedication, attention to detail and exceptionally high standards he has shown at The Meadows. The awards are the largest business awards in the building control sector and the nominees are selected by the LABC Warranty Inspectors who visit the sites twice a week to check on the building process. 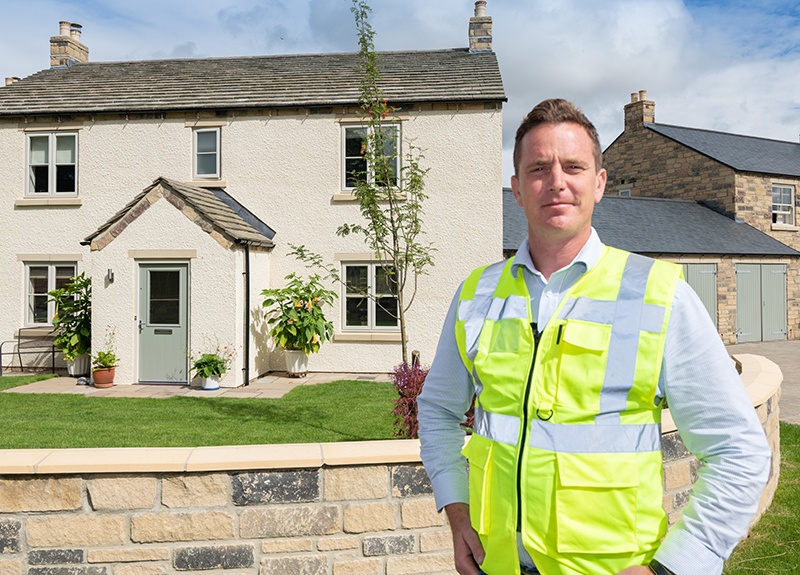 Ben has managed the development of The Meadows which is a unique development of 13 individually designed three and four bedroom properties in the village of Spennithorne, near Leyburn. The development has been carefully designed to ensure it caters for, and enhances, the local community. Sympathetic building styles have been used to ensure it remains in keeping with the rural environment and a much praised ‘discount for sale’ scheme was introduced in partnership with the local council to help local people remain the area. Ben now goes forward to the LABC National finals which are to be held in November.